As we wind up yet another year of blogging here at PCS, I want to say thanks for tuning in, whether you're a long time visitor or someone new. 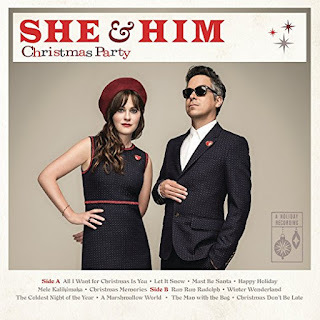 A holiday hello, also, to my fellow pop bloggers, represented in the blogroll to your left (scroll down a bit). If you have a blog, or know of one, that should be added to that list, please let me know. A reminder that PCS has two sister blogs: The Glass Onion Beatles Journal, which is going strong, and Pop '66!, which winds up its mission this month. Traffic over there has been ... modest. Still, reliving the pop culture of 50 years ago has been both fun and eye-opening and I don't regret the experiment. I learned a lot. The posts there will remain intact and I hope you'll tune in, because a special announcement over there is coming soon. Along with blogging (and writing a book and working and being a dad, etc. ), I continue to contribute book reviews to the long-running print mag, Beatlefan, and to Wink Books. 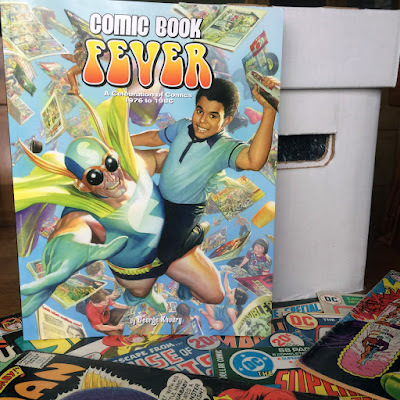 Click here to see my review of George Khoury's super fun "Comic Book Fever," which nearly anyone who like PCS will love. You can also read my recent interview with George here. I'm a Bruce Springsteen fan - more of the man than of his music. I have a couple of his LPs, but have always admired his down-to-earth, man-of-the-people persona, which, from all accounts, is genuine. He seems like a great guy. And it's a pleasure to hear him being interviewed and sharing some of his favorite music in this new episode of the BBC's long-running, and awesome, Desert Island Discs radio program. None of the Boss' musical selections are a big surprise (Elvis, Beatles, Dylan, etc. ), but his frank recollections about growing up, his relationship with his dad and his early days as a performer are very much worth a listen. Check it out. 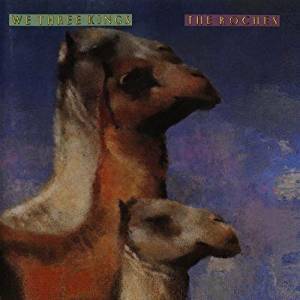 The Roches - We Three Kings is a 1990 collection by the eccentric sister-harmony trio that ranges from the sublime (most of the time) to the unhinged (a few tunes). 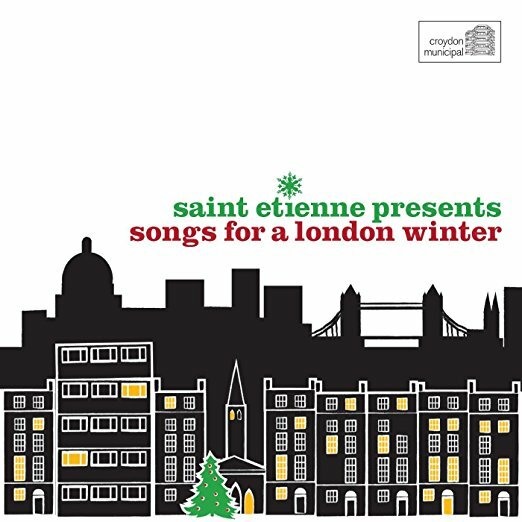 At 24 selections, it's a bit on the long side - I think Christmas LPs are best kept to 12 songs or so - but there are some wonderful performances. Nobody sings/sang quite like the Roche sisters. She & Him - Christmas Party is just the right length, 12 tunes to add to the dozen the duo issued in 2011 on their previous holiday player, A Very She & Him Christmas. This one is in the same retro-pop mode, if a little more stripped down than its predecessor. Tunes include the Chipmunks' "Christmas Don't Be Late" and Mariah Carey's "All I Want For Christmas Is You," which always sounded like a 1960s holiday tune and sounds even more that way here. 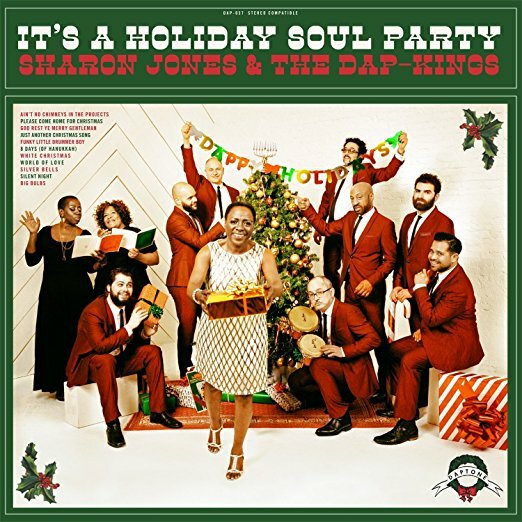 Sharon Jones and the Dap Kings - It's a Holiday Soul Party! Bowie, Prince, Sharon - 2016 has been a terrible year of musical losses. I'm glad I got to see this group twice - the second time early this past summer. Jones was noticeably weakened by her battle against cancer, but by no means out. She sang with utter commitment. I think performing helped her - it certainly helped those of us watching and listening. She was an inspiration - and listening to this album makes me joyful - about what I've experience and what lays ahead, not matter what it might be. 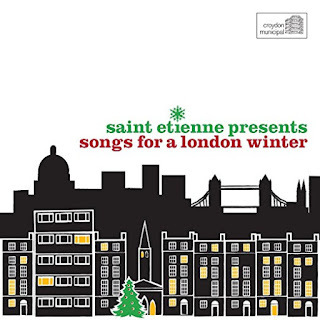 St. Etienne Presents Songs for a London Winter is a holiday-themed compilation of pre-Beatles English pop and light jazz curated by music writer/musician Bob Stanley and his bandmates. Those featured include the pre-Bond John Barry performing with his jazz combo, the John Barry Seven, along with Johnny Dankworth, Cleo Laine, Billy Fury, Adam Faith and Lionel Bart. Sure, some of it's a little cheesy, but there's an air of sophistication present on many of the tracks, too. And they're so rare, and so British, that they present a nice change of pace by American holiday standards. I just finished reading Stanley's book, "Yeah! Yeah! Yeah! The Story of Pop Music from Bill Haley to Beyonce," which I also highly recommend. I don't agree with all Stanley's views (I love the Clash, for one thing), but the connections he makes between performers, genres and time periods are fascinating and will make you listen to familiar music in new ways. 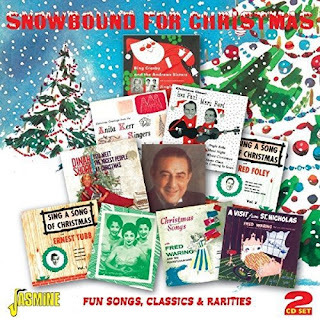 Snowbound for Christmas - Fun Songs, Classics and Rarities is a 2-CD set on Jasmine, a UK public domain label. Considering all the songs included are "needle-drops" off vintage vinyl, the sound is pretty good and the selections are entertainingly diverse, a mish-mash of holiday tunes off singles, EPs and LPs from the 1940s and 50s. Those represented include Les Paul and Mary Ford, Ernest Tubb, Guy Lombardo and Fred Waring and His Pennsylvanians. Nice vintage fare that will make you nostalgic for holidays you never experienced. 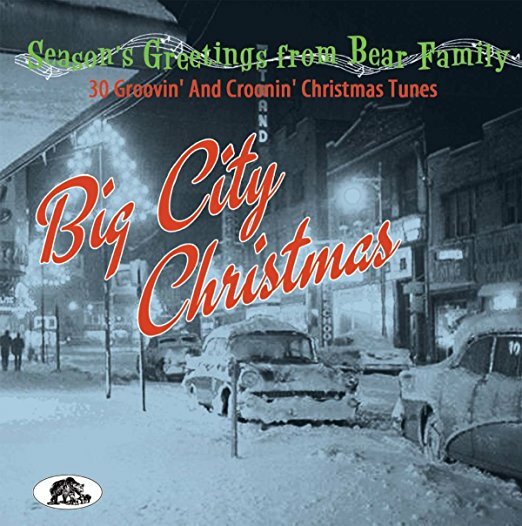 Big City Christmas is a higher class of vintage grab-bag, as compared to the entry above. Germany's Bear Family does things right, with pristine sound and informative, picture-filled booklets. 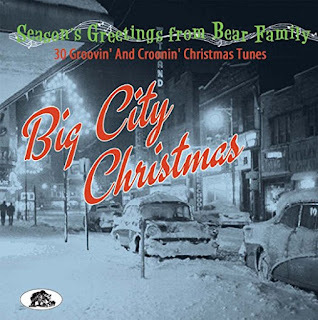 This one is a great listen all the way through, including tunes from various pop, rock and r&b greats, including Brenda Lee, Dean Martin, Chuck Berry, Eartha Kitt, Ricky Nelson and Tennessee Ernie Ford. The choices are on the rare side, which makes it all the more fun. 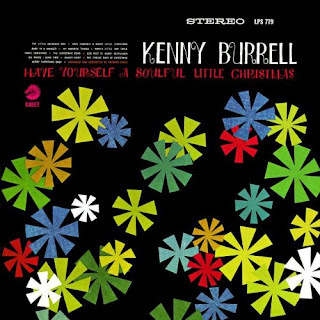 Kenny Burrell - Have Yourself a Soulful Little Christmas captures the jazz guitar group in a variety of settings - big band to small combo and even one tune on acoustic - doing his sophisticated, groovy, bluesy thing on a variety of holiday chestnuts. Burrell's Midnight Blue is one of the best LPs ever released by the Blue Note label. If you have that, you'll like this. If you don't have that, you'll want it and this.